Bigleaf Hydrangea (Hydrangea macrophylla): growing, planting, caring. Oh hydrangeas, everyone's cup of tea. Probably the most common shrub in gardens everywhere, adored by all those who have them. Clearly, this plant knows a thing or two about capturing our affection. If you have one of these guys hanging around, you probably find yourself falling smitten for its lovely flowers of blue, pink, and white! 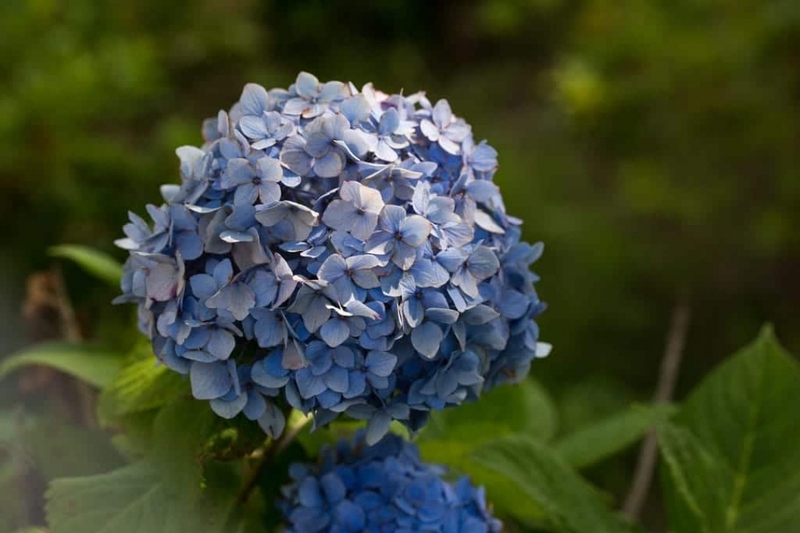 Planted in fresh, well-drained soil, the hydrangea is a sturdy and easygoing fella, cultivable in its full massive form or bite-sized in a pot. What else? 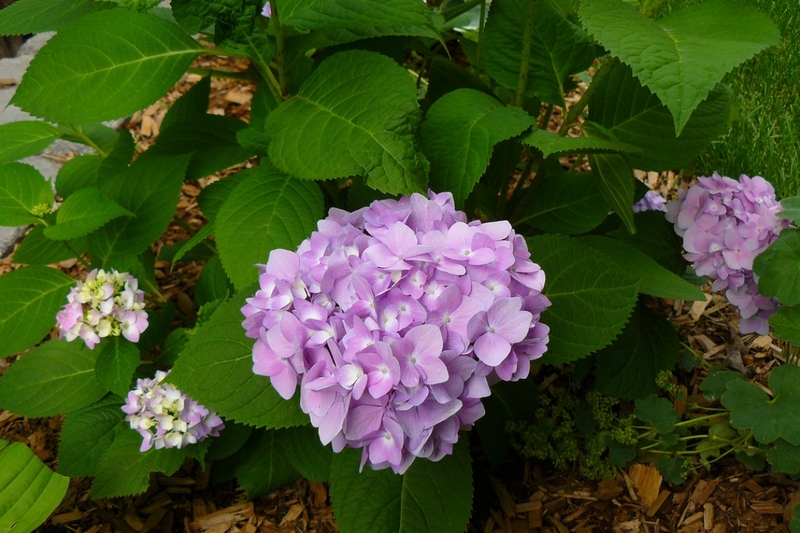 This description concerns the most common variety of hydrangea (Hydrangea macrophylla), without a doubt one of the most beautiful shrubs gifted to us by nature. 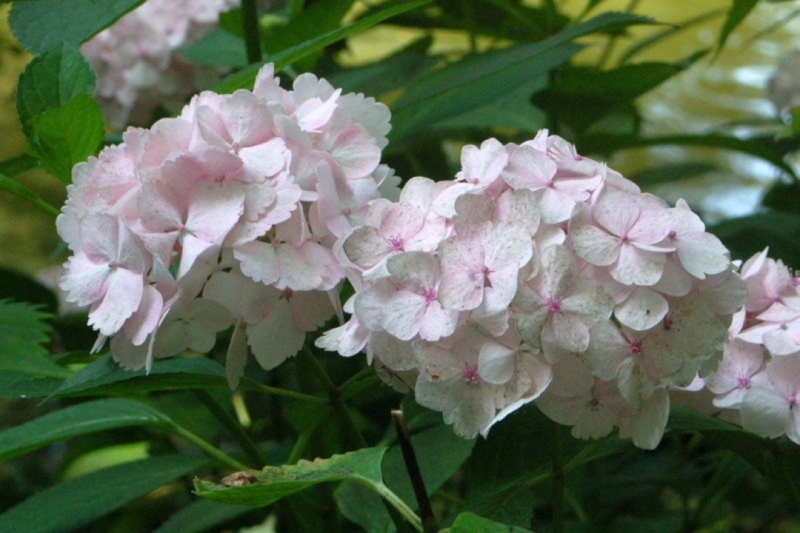 Smooth hydrangea, panicle hydrangea, and oakleaf hydrangea follow the same care instructions. 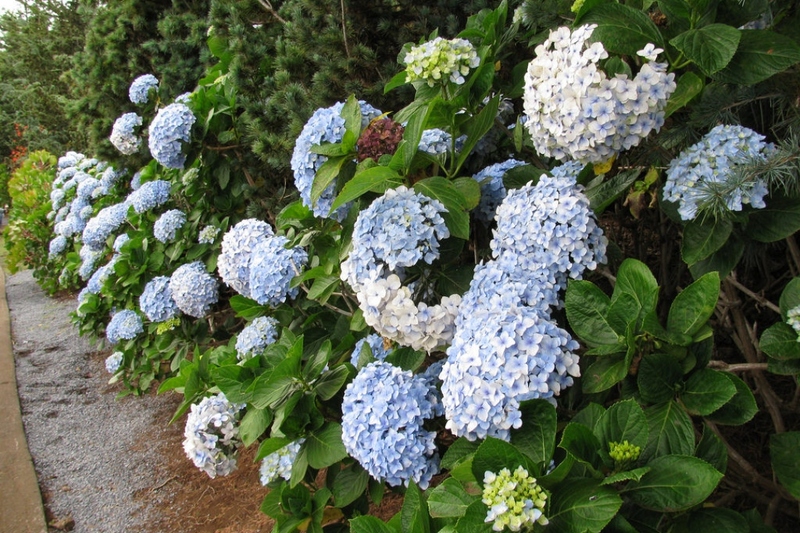 FYI: to achieve blue flowers, you'll need an acidic soil that is rich in aluminum ions, which are notably found in slate. 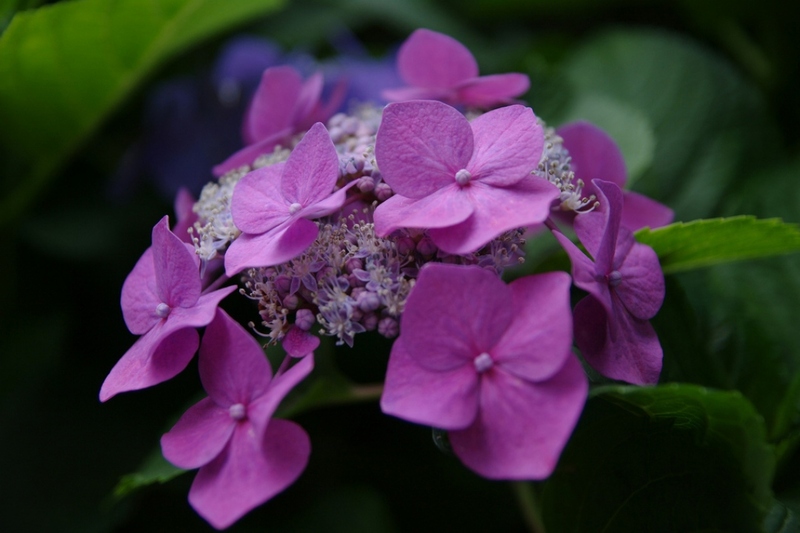 The following description concerns hydrangea — Hydrangea macrophylla — a deciduous shrub with tightly clustered branches and dense foliage which forms a large ball between 1 and 2 meters of height or more! 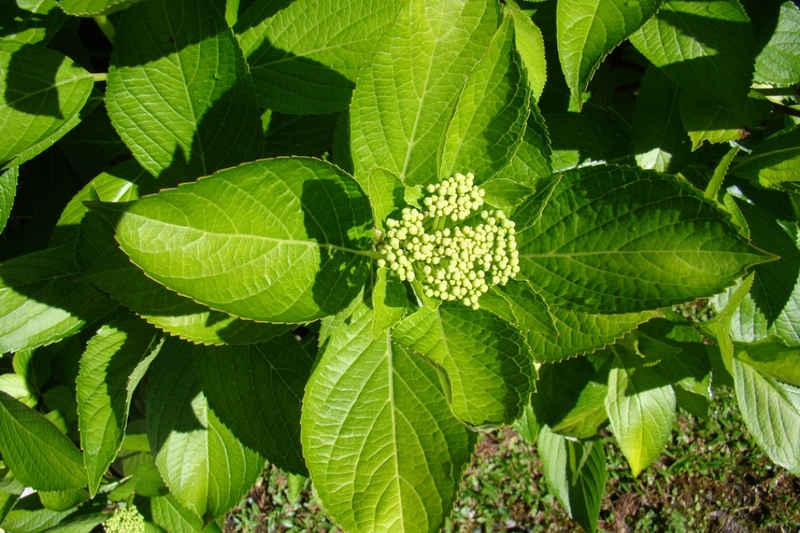 The opposite leaves may grow to be 15 cm long, thus the term macrophylla — "makros" and "phyllon" are Greek for "large" and "leaf". The leaves are simple, membranous, and orbiculate or elliptical, with an acuminate apex. They are generally serrated. The inflorescences are cymes or corymb cymes, with all flowers positioned on a single plane or hemisphere, though cultivated varieties maybe even have entire spheres of flowers. The colors of the flowers go from pale pink to fuscia-red to purple-blue, according to the pH of the soil and the presence (or absence) of aluminium ions.